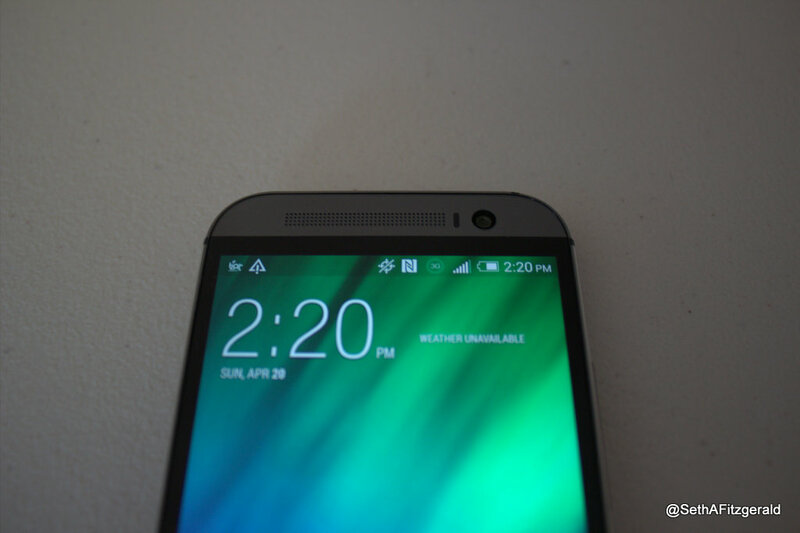 The HTC One M7 was one of the most popular and well received smartphones of 2013. As a result, the M8 has a lot to live up to considering that many reviews had named its predecessor the best phone of the year. HTC doesn’t have the same sort of market share as a company like Samsung, but its high-end flagships have been doing quite well against other Android devices. 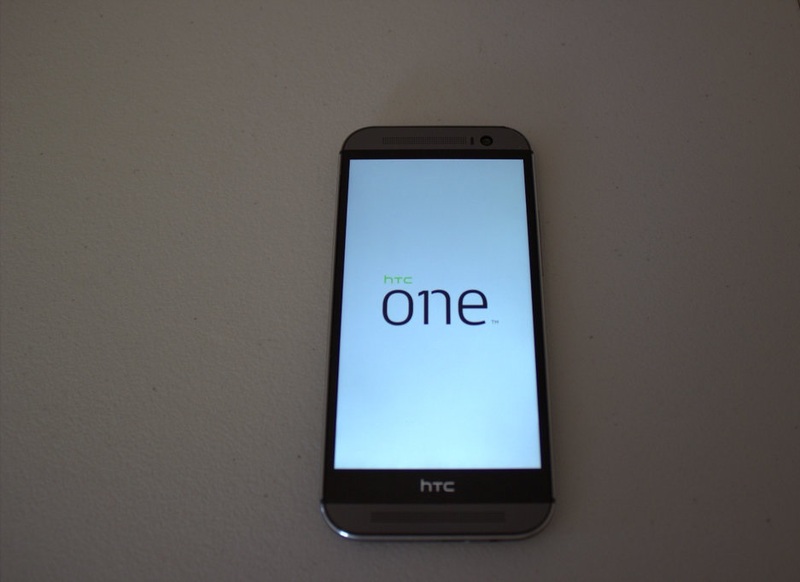 HTC’s One M8 is different in many ways from the M7. Not only is the device larger and heavier but the handset feels completely different. 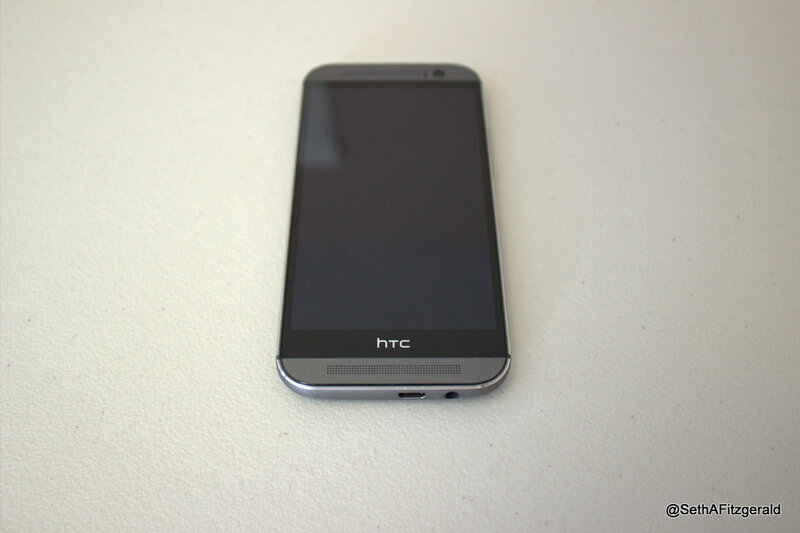 However, the changes that were made to the phone’s design simply add to the aspects of the M7 that were viewed as good. So, because the M7’s focus on metal made the phone feel particularly premium, HTC has capitalized on that by increasing the use of metal from 70% to 90%. While this does make the handset a bit heavier–5.6 ounces rather than 5–, it also feels premium and sturdy, so the extra weight is worth it. 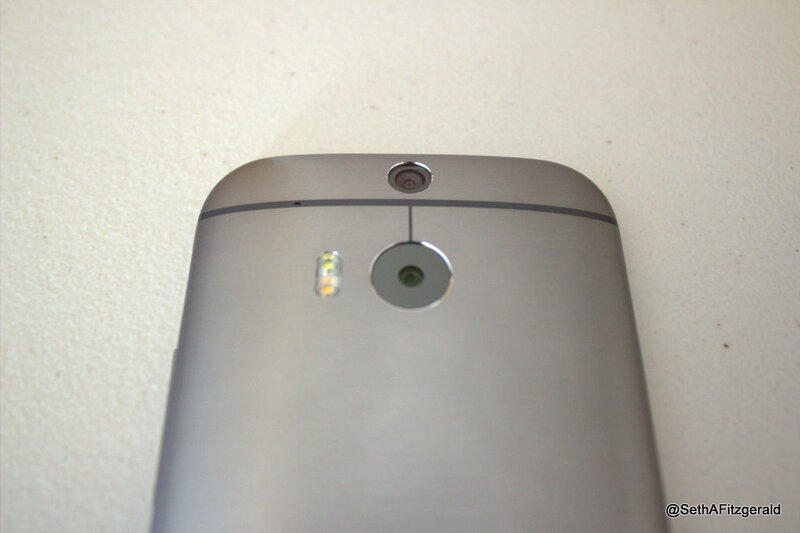 There isn’t much to say about the M8 when its comes to design. For the most part, it looks about the same as other smartphones, with the exception of the space surrounding the display. 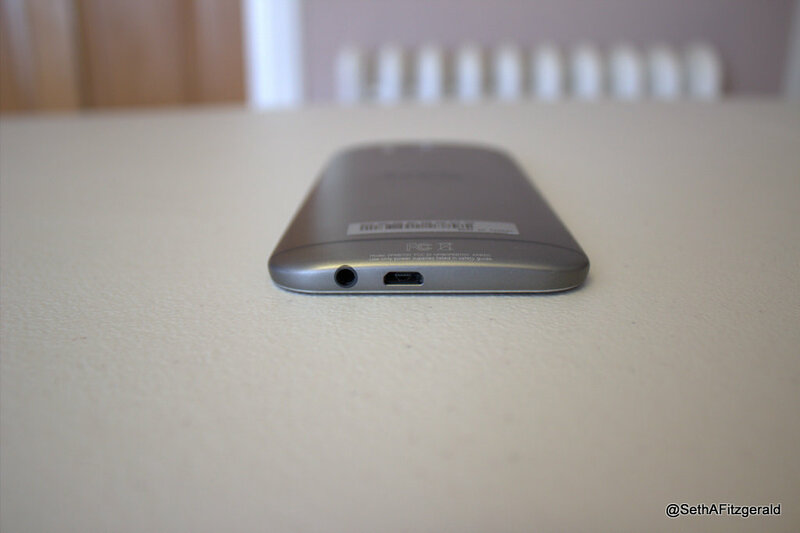 Unlike other phones which have speakers at the bottom, the M8 includes them above and below the display. So, while it may be a 5-inch smartphone, it seems much longer because of the extra space. If the handset’s display were any larger, HTC would have to make significant changes to the overall design of the phone in order for it be comfortable. However, at this size, I found it easy to reach all of the necessary buttons on the side of the device. Our review unit came with 32GB of internal storage, though it does include a MicroSD slot which supports cards up to 128GB, so storage should never be an issue. One of the other interesting things about the phone is that it is one of the few devices that uses a NanoSIM card. In our performance tests, it became clear that the M8 was powerful. 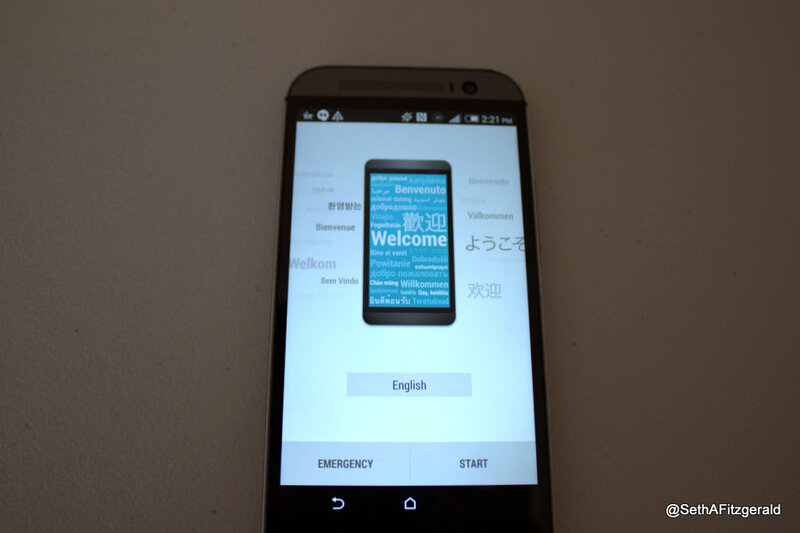 While it is on par with other Android smartphones like the G2 in some tests, it is significantly faster in others. Benchmark performance and overall speed is very important, though if a phone has sub-par battery life, none of that really matters. Luckily, the M8 lasted 10 hours and 57 minutes in our test. Real world battery life will be longer, however, since our test involves playing a YouTube video on loop over WiFi at 50% brightness. Since performance is definitely not an issue with the phone–it feels snappier than most smartphones–the only two factors that must be kept in mind are the camera and operating system. The camera is far from amazing, in fact, it really just isn’t that good. 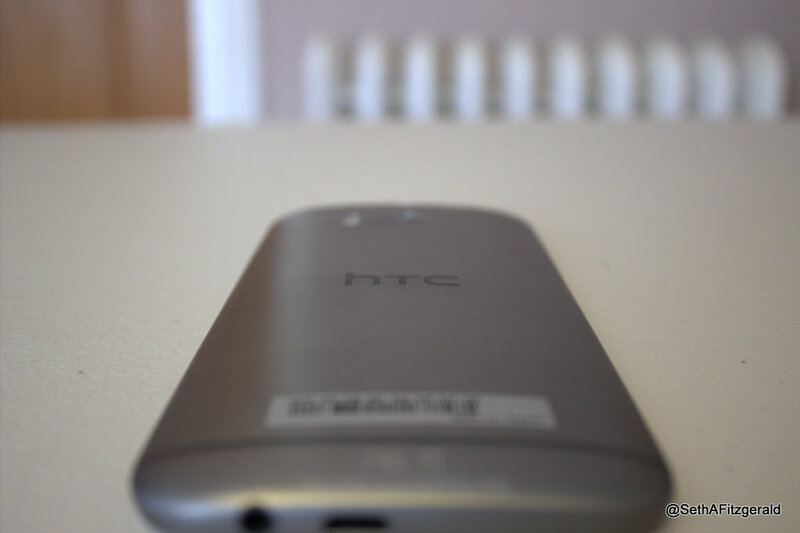 HTC is still marketing its “Ultrapixel” sensor but in reality, it produces relatively lousy pictures. If you are in good lighting conditions, the camera is okay, but the iPhone, Galaxy Note 3, etc, definitely have better cameras. That being said, as long as you aren’t someone that is taking pictures numerous times each day, the camera is fine for inconsistent use. Lastly, the operating system is one of the best that I have used on the Android side of the smartphone market. Blinkfeed may be similar in its functionality to downloadable apps like Flipboard, but having a dedicated part of the phone for feeds is very useful. On top of that, even the default aspects of the M8 like the phone’s keyboard are much better than what you would find on other Android phones. With the exception of some different colors, apps, and Blinkfeed, the One M8’s operating system is actually pretty clean. If you are coming from a stock Android phone like the Nexus 5, the One M8 is less of a shock than something like the Galaxy S5. 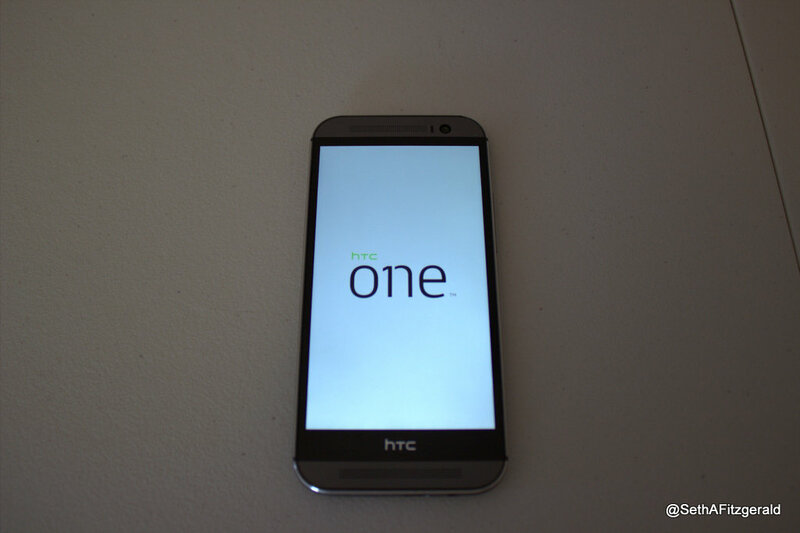 The HTC One M8 is set to be one of the best flagship smartphones of the year and if you prefer Android over iOS, then it may very well bethebest phone of 2014. With the exception of the M8’s camera, every aspect of the device is truly amazing.